We love wine, and we care about origin! Tussock Jumper family goes AR! What do you get when you select the very best grapes from the world’s very best wine countries? Tussock Jumper! We set out on a worldwide journey and chose eleven unique wines, all bottled right from where the grapes came. Then we gave each one the name of an animal from that part of the world and put them in natty little red jumpers as our very special seal of approval. With such a global selection, there’s a Tussock Jumper wine for every occasion. Try the super fruity American Zinfandel buffalo, a real rough diamond of a wine. Or the more herby Touriga Nacional Aragonez donkey from Portugal. Then there’s the freshness of New Zealand’s Sauvignon Blanc sheep which jumps around your tongue. And the oh-so-easy-to-drink Argentinian Cabernet Sauvignon penguin… We could go on. 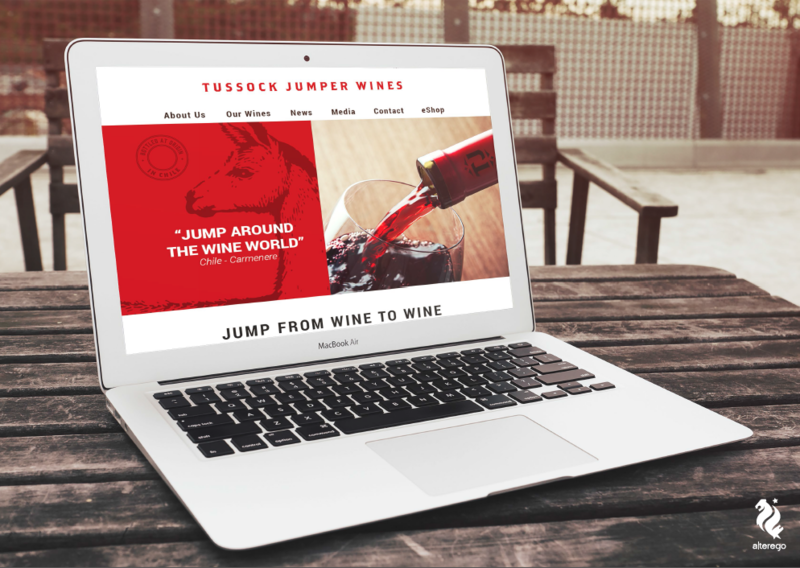 Anyway, with its menagerie of superb wines, it’s hardly surprising that Tussock Jumper is in the news all the time. Or that it just keeps on winning awards. Seems like offering the best wines from the best known wine regions of the world is something that people really like. Cheers! 11 countries. One awesome wine brand.